Minimum system requirements are very modest, it is probably due to the fact the game is also being released on current gen consoles. There are even reports, that the game is playable on older cards like GeForce 9600GT (source). Even the recommended requirements are nothing to be afraid of. The recommended GPUs are more than three generations old and the required CPU clock is in laptop range. Testing was done on a system with Core i7 clocked to 4.5 GHz, 32 GB RAM and AMD Radeon HD 6870 in 1920x1200 resolution. Unfortunately there is no build-in benchmark so I had to test directly in-game. My benchmark consists of running from one viewpoint in Nassau to another during daytime. The game locks framerate to 63 FPS and there is no way to unlock it. Because of it many values would be higher without the lock because in a few cases, I've hit the 63 FPS limit. For detailed comparisons of all graphical effects there are many full resolution screenshots linked in this article. These screenshots are in lossless PNG format and each is around 4MB. Click with caution. In the section above you'll find the game requires a quad core CPU, however it turned out that the game is capable of running on a dual core system without any significant performance impact. Here is a list of active threads in the main process. The most CPU time is taken by one main thread, around 12%, which is one core of an eight core system. The second most demanding thread is the GPU driver, around 5%. The rest of the interesting threads are a few 1% threads that presumably take care of AI, sound, physics etc. Cumulative CPU time of these is around 7%, which when combined with the GPU driver thread is also 12% and is the second core. This is how performance is spread over all cores. One main thread on the first core and rest on the other cores. CPU utilization is around 33%. The game is behaving a little bit differently on quad core systems. Load is spread over all cores evenly with no change of CPU utilization. When affinity is lowered to only two cores, the load is also balanced evenly between them. There is a 10% loss of CPU utilization. And finally the game running on a single core system will utilize one whole core which is no surprise. From the graph above it is clear that Assassin's Creed IV can be run on dual core systems without any performance hit. On single core systems there is a rather large drop so the game really needs at least a dual core CPU. The graphics option menu in Assassin's Creed IV features few items that can be tweaked. The shadow setting is very rich in that it features seven different levels of shadow quality. Anti-aliasing is similar due to how it contains five AA methods for AMD cards and eleven methods for Nvidia cards. Some of these effects and their impact are explained in this video. Bear in mind that it is promotional material so the final look of the game can be very different. There are unfortunately a few rather important settings missing. There is no aspect ratio option resulting in letterboxing on every aspect ratio other than16:9. Black bars are even present on AMD Eyefinity or Nvidia Surround systems which is surprising as this wasn't a problem in Assassin's Creed III. There is also no native option for triple buffering resulting in unnecessary framerate loss when vertical synchronization is turned on. There is no field of view setting. This wasn't a problem in the previous games in the series as the default field of view isn't set very narrow. However, Assassin's Creed IV contains first person sections where field of view is awfully narrow and makes the game practically unplayable for many players. Although the majority of the game is in third person with a reasonable field of view, this is still a problem. Assassin's Creed IV runs on a DirectX 11 renderer. Its engine, AnvilNext, has been used in the last game in the series so it should be a little bit more optimized as the developers are more experienced with this technology. Porting was done again by the Ubisoft Kiev studio that has done the not-very-good ports of Ghost Recon and Assassin's Creed III. There are no presets so testing was done with everything on lowest and then everything on highest without anti-aliasing. On the lowest settings the average framerate was 52.5 FPS with 45 minimum. On the highest settings the framerate was more than halved, 22.2 FPS with 16 minimum. As you can see from the screenshots, maximum details looks significantly better. The sea has real time reflections, building LOD is not that aggressive and there are generally many more details in the scene. Original screenshots: scene 1 low, scene 1 max, scene 2 low, scene 2 max. This setting controls foliage and LOD of buildings. On the lowest setting there is no grass and the leaves on the trees disappear pretty close to the protagonist. On normal and high settings grass appears and the buildings are significantly more detailed. Original screenshots: very low, normal, very high. The performance impact is not very noticeable, only around 8% from low to normal and from normal to high, so there is practically no difference. Texture quality should control texture resolution, but I was unable to find any visual difference. Another strange thing with this option is its performance. There is no difference in performance between low and high settings but there is a 5% FPS drop on the normal setting. I have repeated the test several times with the same results and I can't figure out why it is behaving this way. The fact that there is no visual impact could mean that this setting is either improperly implemented or is simply bugged. Original screenshots: low, normal, high. Assassin's Creed IV features a very rich amount of anti-aliasing options, some of which are unfortunately available only on Nvidia cards and I was not able to test those as my rig has an AMD card in it. As usual, anti-aliasing is a very power hungry effect. The two post-process filters, FXAA and SMAA, offer a very small performance drop of 8%. The true anti-aliasing option, MSAA, has a much larger FPS drop with almost 60% on MSAA 8x. The results are very disappointing as every tested method completely blurs whole image and causes a large loss of details on the textures. FXAA is the worst as usual, some jaggies are softer but fine details on the textures are gone and disconnected lines stays disconnected. MSAA offers the best anti-aliasing and there are no disconnected lines as this method works with subpixels and locally enlarges resolution thus adding geometry details. Unfortunately MSAA also blurs textures which should not happen. Results with SMAA really surprised me. This method blurs sharp edges and gets rid of disconnected lines and although there is apparent texture blurring, it is not as bad as the other methods. As usual original screenshots: no aa, fxaa, smaa, msaa 2x, msaa 4x, msaa 8x. I'm be interested in the Nvidia specific anti-aliasing methods, so if someone could take screens in .PNG format and upload it to any file locker, I will create a similar comparison. Another very rich option menu is shadows with seven different settings of shadows all in two categories, normal shadows and soft shadows. Soft shadows have their edges a little bit blurred to add a more realistic effect, while with higher settings the shadow resolution is increased. Original screenshots: low, normal, high, very high, soft low, soft normal, soft high. The performance impact is not very large at first. From normal shadows up to high quality there is only about a 3% FPS drop but the very high setting will cost you 15% of performance. Soft shadows are much more demanding. Setting soft shadows on low will result in an 18% FPS drop with the highest settings a 29% FPS drop. This effect can dramatically change how the game looks as it introduces real-time reflections on water surfaces. It can be turned off or set to normal or high. The high setting just increases the draw distance of the reflections and does not affect their quality. Original screenshots: rain off, rain normal, rain high, sunny off, sunny normal, sunny high. Surprisingly, I have not observed a significant framerate drop. I have even changed my benchmarking route to include much more ocean than my standard route but I had the same results. Assassin's Creed IV has three ambient occlusion settings, SSAO and two levels of HBAO. Both of these techniques add very subtle shadows around corners and even SSAO looks very nice. HBAO on low is only visible in direct comparison and I wasn't able to notice it in the game. On the other hand, HBAO on high is much more visible and looks better than SSAO. Original screenshots: AO off, SSAO, HBAO+ low, HBAO+ high. Performance-wise, this is usually a very expensive effect, but the implementation in the game results in only a 13% FPS loss on SSAO and 18% on HBAO on high. The god rays effect enables sun shafts in the game. On the low settings, it isn't very visible, but on the high setting, it is a very different story. The performance drop is quite large on the highest setting, around 18%. I haven't noticed any dramatic changes when enabling volumetric fog. According to the technical showcase video linked above, it should add much better smoke and fog during sea battles, but it seemed very similar to me. The FPS drop is around 9%. Assassin's Creed IV supports controllers and mouse and keyboard. Default controls for keyboard and mouse are changed from the last title as usual so returning keyboard and mouse players will be little bit confused. Keyboard can be remapped with exception of Caps Lock, Num Lock and Scroll Lock keys. Only one key can be bound to the action. Weapons select wheel has been removed completely and weapons and tools can be selected by numeric keys, while mouse wheel controls tool selection, and one key can be assigned to cycle thru weapons. Mouse settings features X and Y axis sensitivities, both axis can be also reverted. Unfortunately there is slight positive mouse acceleration in the third person mode and slight negative acceleration when character is aiming with a gun. Both accelerations are present even if acceleration is disabled in operating system. Xbox 360 controller works fairly well but its mapping cannot be changed. Sound option menu does not offer much setting for tweaking. There are three volume slider, toggle for crew singing. Language setting is interesting though: you can choose different languages for menu, subtitles and spoken language. Surround sound support is also present but only with 5.1 system limitation. Sound quality is on par with current titles but sometime audio get out of sync in cutscenes. 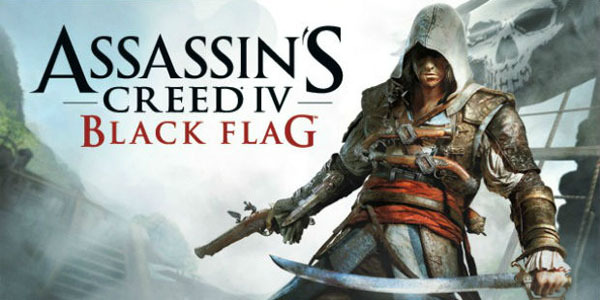 I would consider Assassin's Creed IV: Black Flag an average PC port. CPU optimization could be better, GPU optimization is done fairly well and I have not encounter any major problems, there are reports about bad performance on some systems though. Lack of field of view setting and letterboxing isn't something to be really proud of, same with mouse acceleration, blurry anti-aliasing and framerate lock. On the other hand the game looks very good even on the lowest settings and performs very well. Fantastic article LDK, nicely written with lots of detail. Likely to be one of the first game I pickup once my next PC build is complete. How are you finding the game? I'm having fun with it. There is so much stuff to do and main story introduces new mechanics all the time. Ocean simulation is technical marvel. Overall it is a great game. and still runs really bad. I have to put most things on normal to get a 60fps, with frame drops on regions with high foliage density.